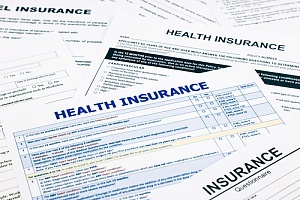 Healthcare and health insurance are terms that are often used interchangeably. However, healthcare, which typically includes elements like emergency room visits, preventative medicine, and prescription drugs, is far different than health insurance which provides coverage for medical services. Where it can get confusing is how healthcare is delivered. Not everyone that seeks healthcare services have health insurance. Those that have health insurance may not have private insurance, but instead may have health coverage through the government or organization memberships. It is important to understand the similarities and differences between healthcare vs health insurance before choosing a policy. Healthcare is defined as efforts made to maintain or restore mental, physical, or emotional well-being by licensed and trained professionals. It typically includes primary, secondary, tertiary, and quaternary medical treatment. Healthcare delivered to patients may include any methods or procedures designed to care for a patient. It also includes the diagnosis, treatment, and prevention of disease. Healthcare is not just limited to traditional medicine. It also covers dentistry, optometry, pharmacy, nursing, allied health, and similar areas of health. Due to advancements in science and technology, the field of healthcare has grown significantly in recent years. The industry in which medical professionals or “practitioners” work in is commonly referred to as the healthcare industry. The healthcare industry is made up of doctors, nurses, therapists, dentists, pharmaceutical companies, and hospital systems. When these professionals set prices for their products and services, it has a direct effect on health insurance costs. Through professional healthcare services, patients are able to not only receive treatment for their illnesses and ailments, but also receive any necessary guidance or treatments for preventing illness and disease in the future. 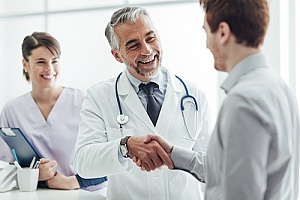 Primary Care: Primary care is the most recognizable type of care in which you see your healthcare provider to address symptoms and medical concerns. Primary care is also responsible for coordinating your care with specialists. Secondary Care: Once you have been referred to a specialist by your healthcare provider, you are in secondary care. This means that you will be cared for by someone who has expertise in the field in which you are having health problems. Tertiary Care: If a patient requires hospitalization, he or she may be referred to tertiary care. This type of care requires specialized expertise and equipment. Quaternary Care: Quaternary care is merely an extension of tertiary care. It is highly specialized and therefore only offered by certain providers and hospitals. Home and Community Care: Home and community care refers to a wide range of health services designed to meet a person’s medical needs, such as skilled nursing care, dietary management by a dietician, and occupational, physical, or speech therapies. Urgent Care: Urgent care centers provide patients with easy access to healthcare at times when their normal healthcare provider may not be available. Urgent care centers are often open during non-business hours, such as nights, weekends, and holidays. Health insurance is defined as a system of financing used for medical expenses. It is designed to help absorb or offset healthcare costs associated with a wide range of services, such as routine health examinations, unforeseen illnesses or injuries, inpatient and outpatient surgery, specialist referral visits, and prescription medications. Health insurance policies are generally separated into three main types: privately paid by an individual, commercially-arranged as part of an employee benefits package, or publicly provided as a service through Social Security. 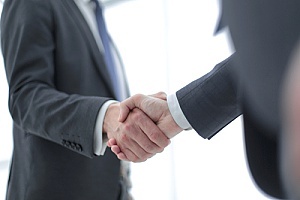 Insurance policies can differ from company to company and each has their unique set of criteria for providing coverage. Health insurance may include coverage for a wide range of illnesses and injuries, such as accidental loss, mental illness, and disabilities. With health insurance, the insured is generally reimbursed for expenses that incur due to an injury or illness. Health insurance premiums are deductible and any benefits given are without tax. Health insurance can be difficult to navigate due to ever-changing laws and differing policies from one insurance company to the next. It is important to know your options when comparing traditional health insurance and managed plans to determine which policy is best suited for your unique healthcare needs. Basic Medical Insurance: Basic medical insurance plans typically offer less coverage with the tradeoff of lower premiums. After paying a premium for coverage, members receive sufficient funds to reimburse them for events such as doctor visits, surgery, and lab tests. Major Medical Insurance: Major medical insurance generally covers more than just doctor appointments and surgical procedures. These plans may also cover other services like physical therapy, nursing home care, and rehab, as well as prescription drug costs. Supplemental Medical Expense Insurance: Supplemental medical expense insurance is designed to help you pay for services and other out-of-pocket expenses that your insurance company will not pay for. Disability Income Insurance: Disability income insurance provides eligible disabled individuals who are not able to work with periodic payments of benefits. With this type of insurance, 45 to 65 percent of a person’s gross income is replaced on a tax-free basis. Long Term Care Insurance: Long term care insurance helps pay for expenses associated with long-term care. It often covers care that is not otherwise covered by Medicare or Medicaid. Critical Illness Insurance: Critical illness insurance requires the insurer to make a lump sum cash payment if the policyholder is diagnosed with a specific illness found on a pre-determined list. Hospital Cash Insurance: Hospital cash insurance can provide financial protection by delivering daily cash benefits throughout the duration of the insured person’s hospital stay. While the confusion between healthcare vs health insurance may not seem important, knowing the differences between the two can have a big impact on your choice of policy. Health insurance, when understood, allows policyholders the ability to protect themselves from unpredictable future health care costs at a reasonable cost. To learn more about healthcare vs health insurance, or for assistance in choosing a policy, contact a health insurance broker at BBG Broker today.